I have visited one of Washington state’s eastern-most cities, Walla Walla, just twice now. 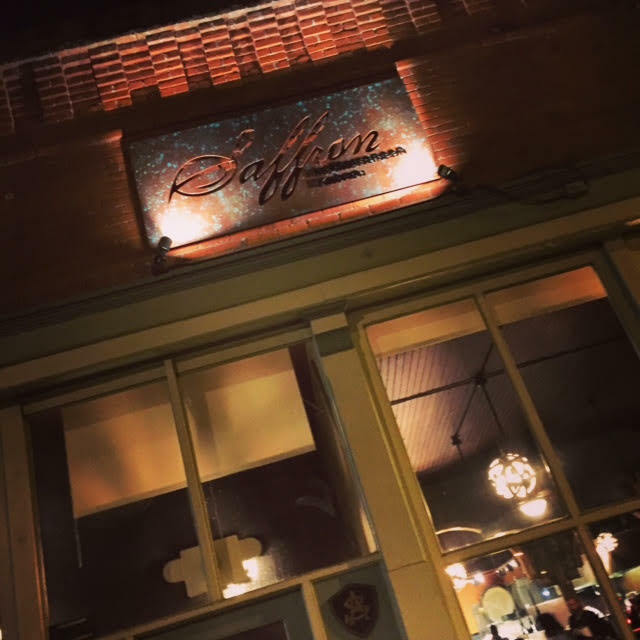 My first visit was in June, 2015, for Celebrate Walla Walla: The World of Merlot, and I recently returned to Walla Walla for their annual food-focused event named February is for Foodies. One thing about Walla Walla that really stands out (aside from the region’s incredible Merlot) is the quality of food that’s being served by local restaurants, food trucks, catering companies, B&Bs, and gas stations – and that’s no typo – one of the best freshly-crafted meals I’ve ever had came from behind the same counter where I paid to fill my car’s tank with gasoline. 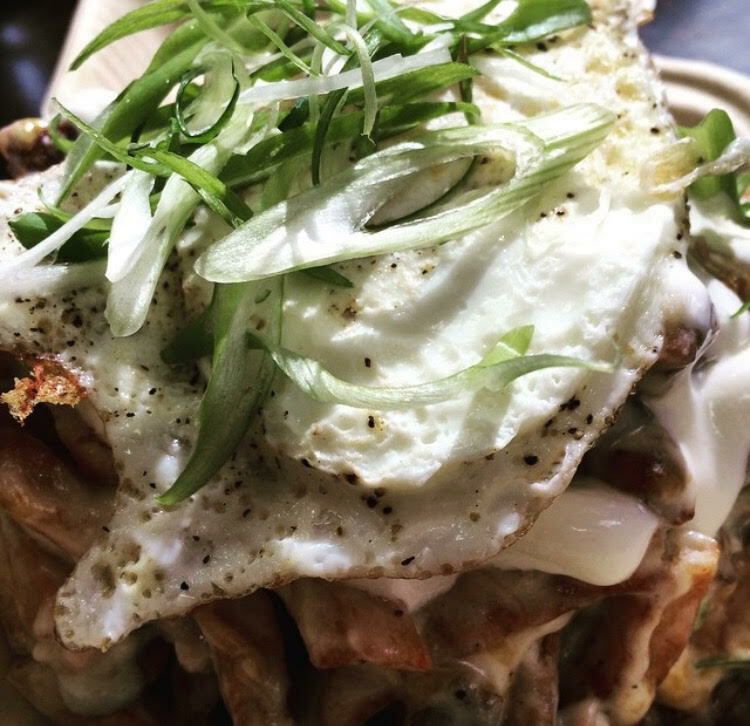 During my first visit to Walla Walla, I had breakfast at the famed gas station restaurant, Andrae’s Kitchen, where I devoured this divine Breakfast Poutine. 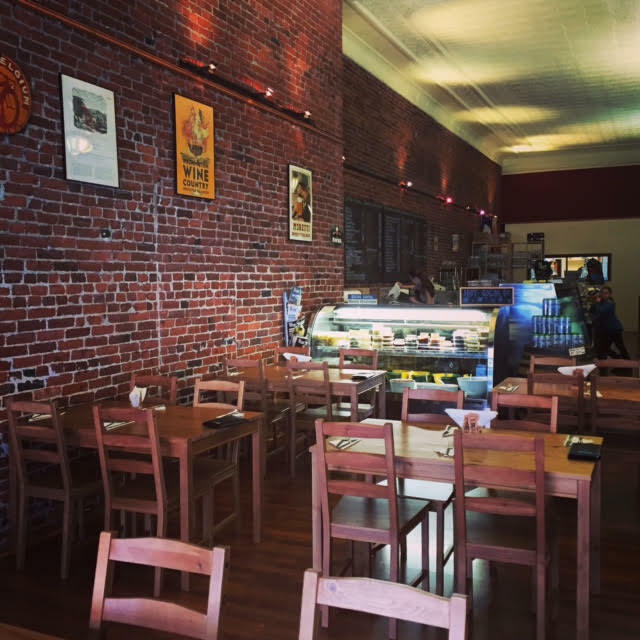 Just outside the doors of the historical Marcus Whitman Hotel, located in the heart of downtown Walla Walla, sits many of the town’s excellent eateries and food-focused venues that simply give the town soul. 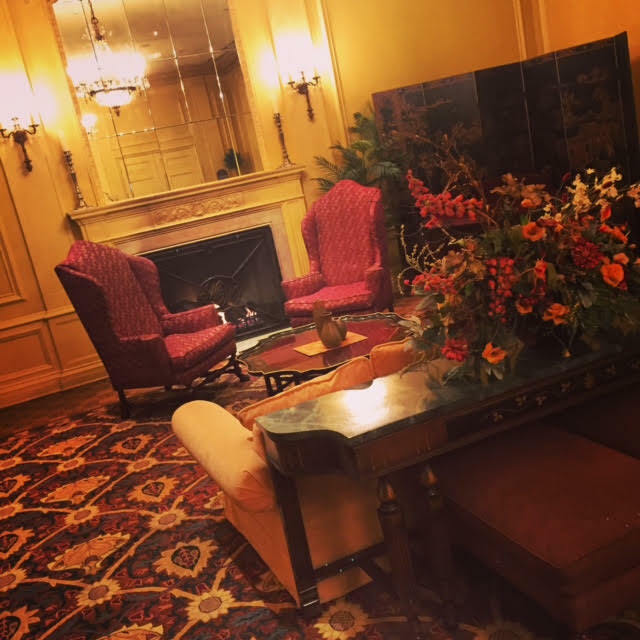 With luxurious, ornate decor and opulent furnishings, the Marcus Whitman reminded me of a hotel that could easily be found in some of Europe’s historical cities, and just like many of Europe’s hotels, an incredibly delicious full breakfast buffet was included with my stay. Prepared by the hotel’s notable chef of their in-house award-winning Marc Restaurant, the buffet’s expansive selection included everything from fresh and tasty house-made yogurt and granola to warm and hearty biscuits and gravy, eggs, sausage, thick sliced bacon and even monkey bread and fresh baked scones. A big, savory breakfast is the perfect way to start a day in Walla Walla, where many visitors will likely spend the rest of the day touring and tasting wine at the surrounding world-renowned wineries and vineyards. But during my most recent visit for the month-long, city-wide event February is for Foodies, most visitors were there for the food – well, the food and wine. 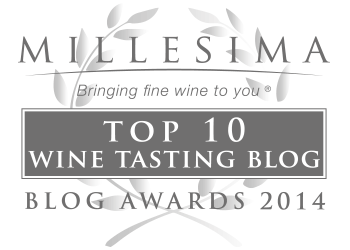 Most of the food events happening around town intertwined local wines with their menus that they put together for the event – some offering prix-fixe menus where each course was paired with a local wine. With a month of events to choose from, I chose to attend the weekend that wine country Chef Andrae Bopp (the celebrated owner of the much-talked-about gas station restaurant, Andrae’s Kitchen) was offering a cooking demonstration that provided a small group of on-looking food enthusiasts a true taste of Mexico. 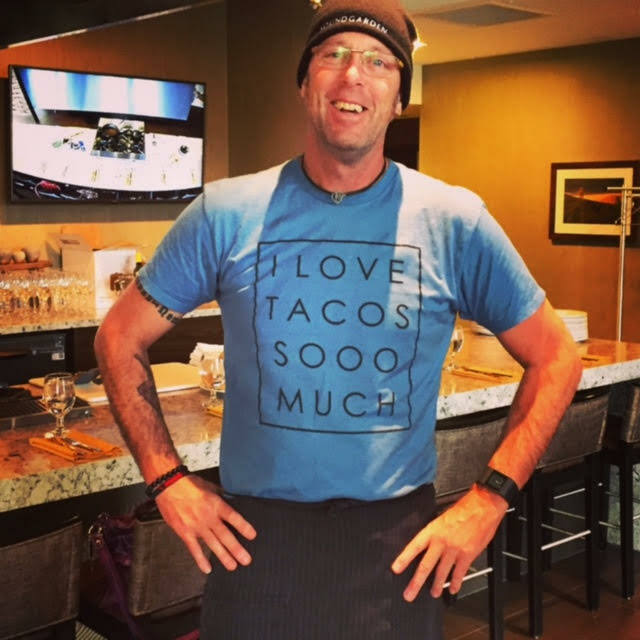 Chef Andrae prepared a delectably fascinating three-course meal (based on dishes he had experienced during a recent trip to Mexico) right before our eyes, teaching us step-by-step how to make each of the fresh and super tasty meals. With food as the focus, my friend and fellow food and wine writing colleague, Seattle-based Julie Arnan (who writes for 425 Magazine and others) and I attended Andrae’s cooking demonstrtation; as well as, a gastro-bistro dinner at the Fat Duck Inn – an adorable Bed & Breakfast owned by a gracious and impressive husband and wife team, a dinner at the wildly popular restaurant, Saffron Mediterranean Kitchen, and a visit to the mouthwatering Cheese Closet of Salumiere Cesario. Although we were in Walla Walla for work, joining up with my colleague Julie made it seem like the ultimate girl’s/mom’s-weekend-getaway – we enjoyed every minute. 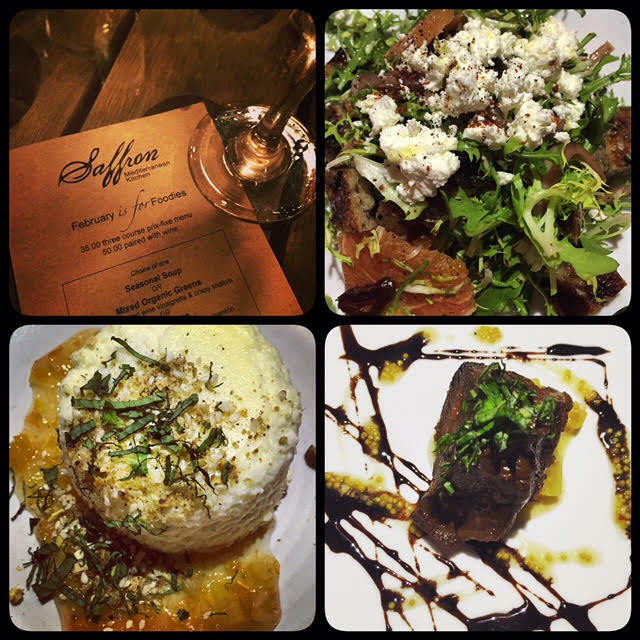 The ultimate in Mediterranean cuisine can be found at the chic and authentically delicious Saffron Mediterranean Kitchen. 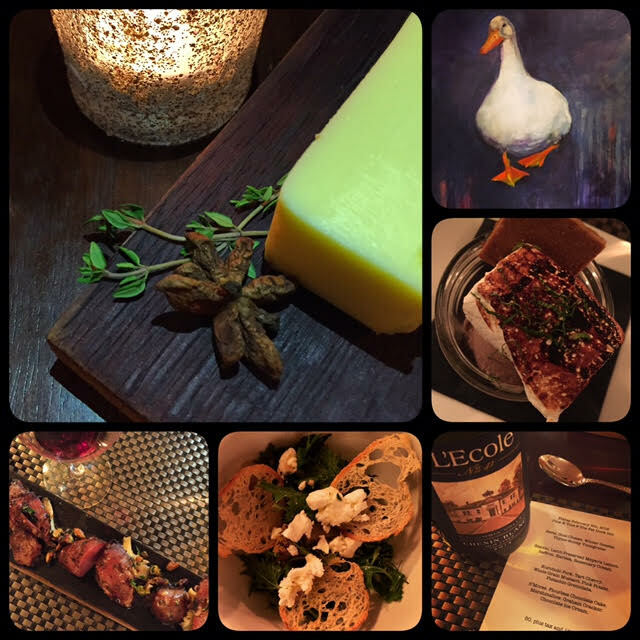 Following is a round of drool-inducing photos – a temptation for what’s to come: detailed articles about each of the food-centric February is for Foodies events that we attended while in Walla Walla. The bar was set high on our first night for the Gastro Bistro dinner at the Fat Duck Inn. A BYOB event, I brought L’Ecole’s Chenin Blanc. 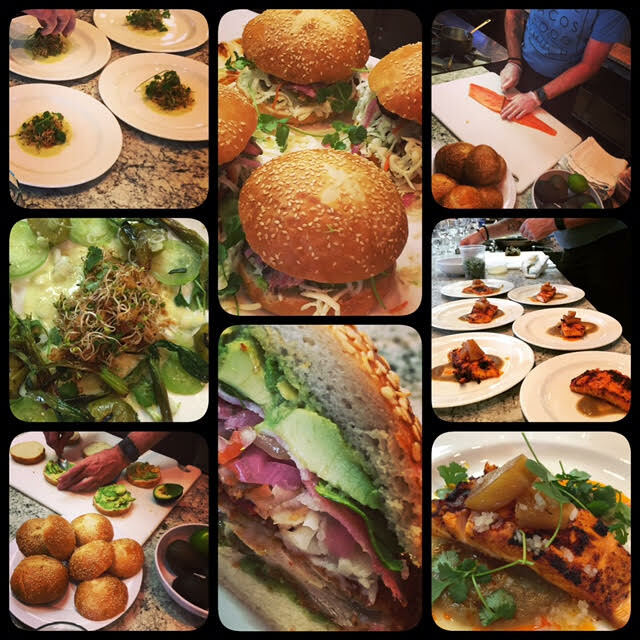 A Journey Through Mexico – the theme for our cooking demonstration prepared and taught by the one and only, revered Andrae Bopp. Unparalleled meals were experienced – I can’t wait to write my piece on this event. 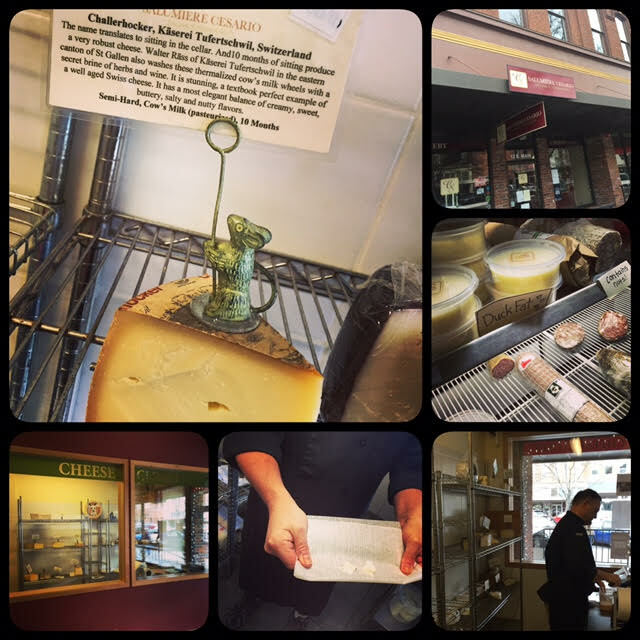 Julie and I get to try an incredible line-up of cheeses in the Cheese Closet with Salumiere Cesario owner, Damon – an absolute treat, indeed. We were unable to depart without taking some cheese and fresh salumi with us. 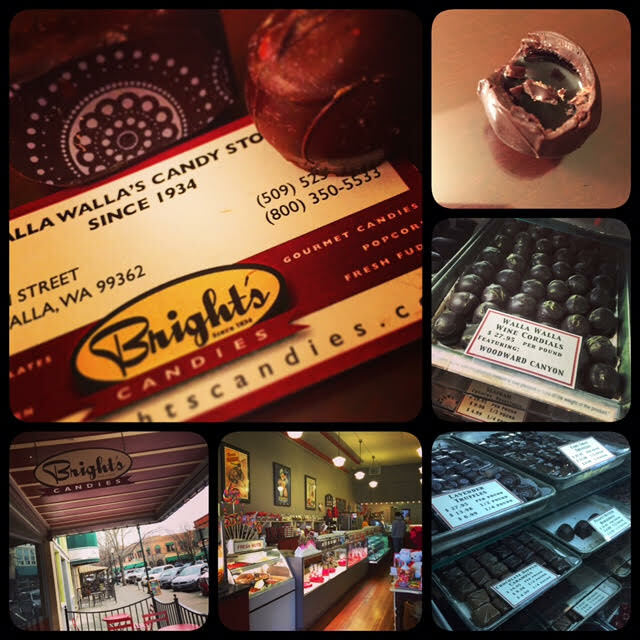 Since 1934, Bright’s Candies has made its home in downtown Walla Walla. The wine cordials are actually filled with local wine. Be careful when biting into these tasty treats! *Thanks to Heather Clark at DVA Advertising and Pubic Relations and Visit Walla Walla for the opportunity to participate in February is for Foodies.